100 b/w professionally printed b/w pages ! Christicide [Fra]. Nyksta [Ltu]. Eternity [Ger]. Selbst [Ven]. Patria [Bra]. Pact [Usa]. Lux Divina [Esp]. Demonic Slaughter [Pol]. Gone Postal [Isl]. Sanctophoby [Ltu]. Rotting Christ [Gre]. Monstraat [Swe]. Division [Ltu]. Entartung [Ger]. Svartidau?i [Isl]. 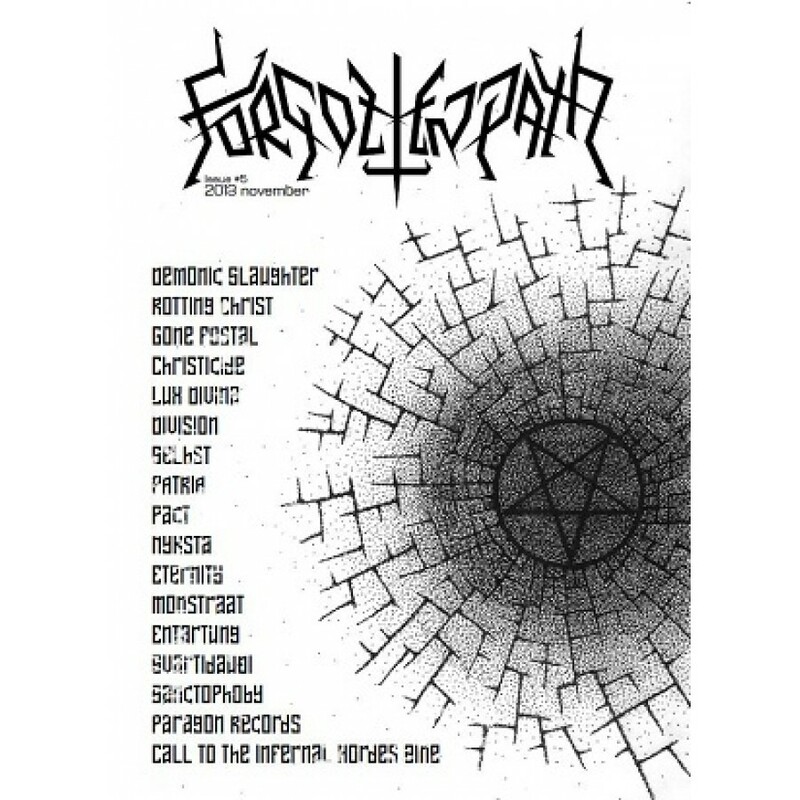 “Call to the Infernal Hordes Zine” [Crc]. “Paragon Records” [Usa]; all in all. 17 interviews + reviews. reports!